The natural features that make Oregon a beautiful state also contribute to the challenges of vegetable gardening in Oregon. Rugged terrain, cold winters in the large central portion of the state and a short growing season characterize conditions in most of the state, except for the coastal region and the Snake and Columbia river valleys. Proper varietal selection, soil preparation and protection are the keys to growing vegetables successfully there. Knowledge of the characteristics of the gardening region helps select vegetable plant varieties and times to plant. The U.S. Department of Agriculture (USDA) classifies Oregon growing regions or hardiness zones from 4a through 9b. This large spread of zones reflects the extreme differences in Oregon’s vegetable growing regions in terms of how cold average winters may be. Oregon State University provides information on four growing regions—Oregon coast, Western valleys, high elevations, and Columbia and Snake river valleys—providing varietal recommendations and planting times for each region. 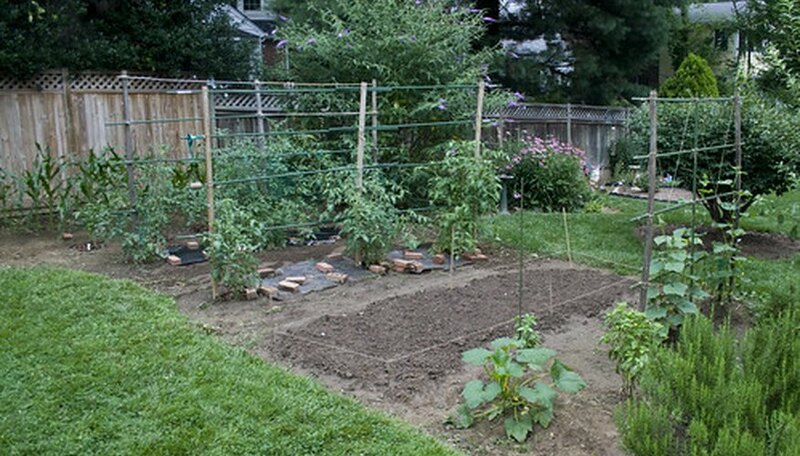 Choose a level garden site with at least six hours of sunlight per day during the growing season. Make sure the area is far enough away from trees and shrubs to limit competition for moisture and nutrients. Check the soil drainage because well-drained soil is essential for hardy growth of vegetable plants. A simple way to test drainage is called a percolation test. Dig a hole about 2 feet deep and fill it with water. Measure the drop in water level in the hole over time. Well-drained soil will lose more than 1 inch per hour. Add compost to improve drainage if needed. Clear the area of any plant materials and discard. Till the soil with a spade, fork or tiller to a depth of 6 to 8 inches the first time the soil is used for vegetable gardening. Later break up only the top 1 inch or so of soil and don't engage in deep tilling that disturbs the soil structure. Add compost, organic matter and fertilizer. Mix the amendments with native soil and allow it to rest for at least 10 days before planting. Plant vegetable varieties recommended for your Oregon growing region at the times suggested by horticulture experts such as those from the Oregon State University Extension Service. Coastal area gardeners can plant cold weather crops in late winter and warm weather crops such as tomatoes in mid-spring. Gardeners in colder areas need to wait until spring to plant cold-tolerant crop such as lettuce and May to plant warm-weather crops. Row covers, cloches, hot caps, cold frames and greenhouses extend the growing season for Oregon’s western valleys and high elevations.